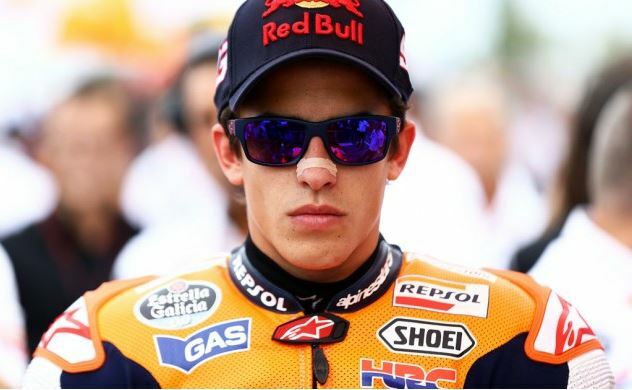 Now that we’ve had 10 days to assess the Argentinian misadventure, a consensus seems to have formed around the BS being widely peddled by a petulant Valentino Rossi that Repsol Honda head case Marc Marquez should be put in front of an Italian firing squad and summarily executed. 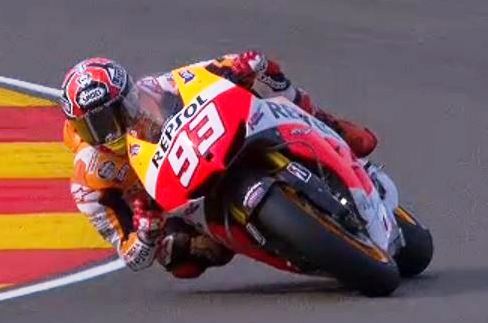 Marquez, it is true, may need to reconsider his approach to racing. This weekend could offer the opportunity he needs for a solitary retreat off by himself for a while, to ruminate on the sport and his place in it, and take the checkered flag when he’s done. For Marquez, a typical weekend getaway in Austin would feature him on top of every timesheet, qualifying on pole, getting away at the start, and indulging his introverted side, interacting with no one all day. Especially Valentino Rossi. It’s happened before, as he is undefeated in the United States since forever, and the Circuit of the Americas appears to have been designed with his mind in mind. After his tantrum in Argentina he must feel like he’s racing a bunch of porcupines, that any on-track contact at all, accidental, incidental or otherwise, will come back to stick him. This, I believe, is Rossi’s objective, to have the world watching #93 like a hawk, adding to the pressure, booing him at every turn, as it were. Worse news for the Repsol Honda team coming out of Argentina was that Dani Pedrosa would need surgery for a fractured right wrist bone, courtesy of Aleix Espargaro, and is doubtful for Austin, thus putting to rest any notion (see my season preview) that this could Finally Be His Year. And people tell me I was insufficiently laudatory toward Cal Crutchlow as regards his race win and title lead. Those people don’t understand the voodoo doll-like effect I have on riders, such as Cal, whom I rarely praise. I pick them to win, it’s the kiss of death. I pick them to finish 13th, they podium. It’s a gift. I’ll shut up about Cal for now. Anything less than a podium in Texas, for him, though, would be telling. There it is. I’ve figured out I want to watch Crutchlow and Marquez mix it up in Texas. It would be fun to see them get away and have it out. Cal is saying he has the bike, the chops and the stones to win a title; a Texas cage match would provide a grand opportunity to prove it. While Marquez was busy winning again in 2015 (his non-championship season), Dovi finished second and Rossi third in a generally uneventful procession. A clean start led to a leading group of Dovizioso, Marquez, Rossi and Bradley Smith on the Tech 3 Yamaha. Marquez went through on Dovizioso on Lap 5 and maintained the margin, coasting to the win by 2.3 seconds over Dovizioso and 3.1 seconds over Rossi. In the 2016 tilt, with Marquez getting away, Pedrosa arrived at a left-hander way hot, taking Dovizioso down from behind; the Italian never knew, as it were, what hit him. 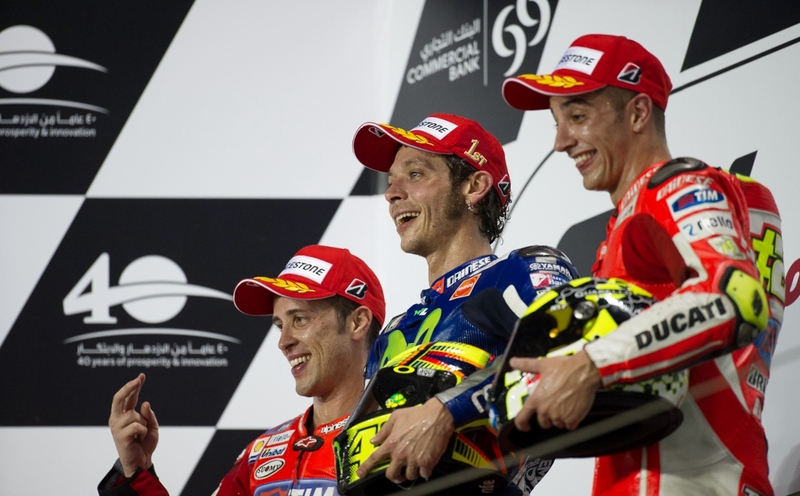 Besides #93, the men standing on the podium were Yamaha’s Jorge Lorenzo, and a “cautious” Andrea Iannone on his Ducati GP16, paying penance for his takedown of teammate and podium threat Dovizioso the previous round. Viñales edged out Suzuki teammate Aleix Espargaro for 4th place that day. The run-up to the 2017 Red Bull Grand Prix of the Americas set the stage for a much-anticipated cage match between Yamaha phenom Viñales, undefeated at that point of the season, and Marquez. Showing no sense of the moment, Viñales crashed out of fourth place on Lap 2, letting the air out of the balloon and ceding, at least for the moment, the lead in the world championship to teammate Valentino Rossi, with Marquez suddenly back in the game in third place. Zarco: The Second Coming of Marco Simoncelli? Those of you who remember Marco Simoncelli, who worked for Fausto Gresini back when he had a Honda team, will remember his “arrival” in MotoGP. He showed up in the 250cc class in 2006, tall, charismatic, outspoken, shock of curly hair, a world of talent. He won the 250 title in 2008, faded slightly to third in 2009, and arrived in MotoGP in 2010 with a satellite RC213V, placing eighth as a rookie with 11 top-ten finishes. Was very aggressive on track and wore out his tires every time out. Simoncelli was a hazard to himself and those around him early in 2011, as he was faster than he realized, taking out several riders unapologetically. 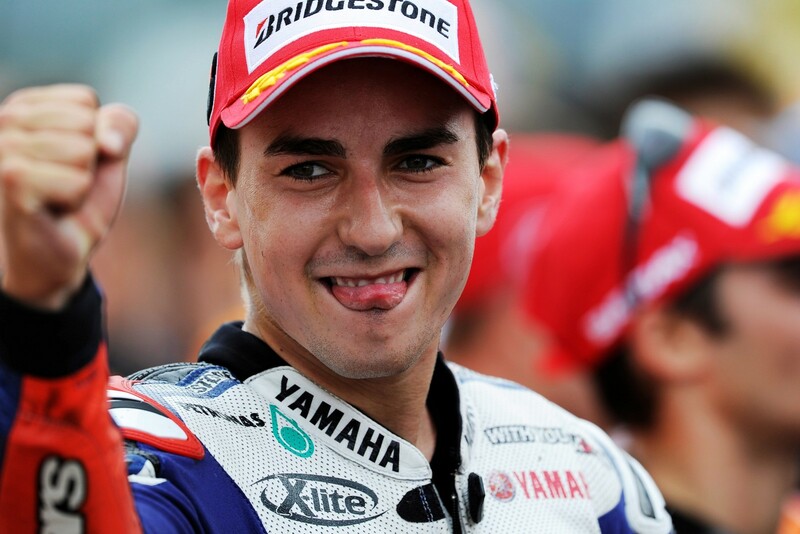 Notably defending double world champion Jorge Lorenzo, who took umbrage at the Italian. Recorded three DNFs in the first six races. Finally got things straightened out, stayed on the bike, and recorded podium finishes at Brno and Phillip Island before losing his life in an unlikely lowside crash at Sepang. Zarco, no spring chicken, arrives on the MotoGP scene with two Moto2 trophies on a surprisingly competitive vintage Yamaha M1 circa 2016. He is fast from the start with three podiums and several other highly competitive outings in his Rookie of the Year year. He almost never crashes out, yet plays rough out there, and would have a target on his back were it not for #93. Simoncelli had a bright future in MotoGP; Zarco’s future is equally bright. He will need to learn to save his tires. That was a weak transition. 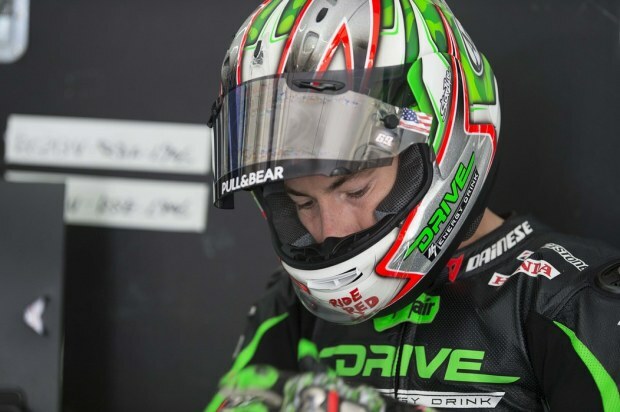 But the best piece of gossip emerging since Argentina has Jorge Lorenzo, currently residing in a dumpster fire at Ducati Corse, weighing a move to Suzuki, ostensibly to replace an improving Andrea Iannone, and riding alongside Alex Rins, a rising star in the MotoGP firmament. These are uncharted waters, a world champion onboard a Suzuki, and it would make for interesting racing. The Suzuki, unlike the Ducati, seems fairly easy to ride, making up time in the tighter areas of the track, losing time in the straights. I like the idea of Lorenzo getting away from the torture of Ducati and back on a more rider-friendly bike. It would be fun to have him back in the Alien ranks. Fun having him relevant again. I wonder if he could beat Rins. My primary forecast for the weekend: Marc Marquez will not stall at the start of the race. Otherwise, the weather looks good, with the possible exception of Saturday, and race day is supposed to be sunny and 75°. I can’t see any reason not to suspect Marquez will win in Texas. I believe Crutchlow and Zarco or Dovizioso will join him on the podium. I don’t expect much from the factory Yamaha team of Rossi and Vinales, which means they will probably do well. And no further incidents between Marquez and Rossi. Please. They generate too much conversation. The race goes off at 3 pm Eastern time, with the underclasses starting at noon. We’ll have results and analysis here for you early Sunday evening at no extra charge. The run-up to the Red Bull Grand Prix of the Americas set the stage for a much-anticipated cage match between Yamaha phenom Maverick Vinales and Honda triple world champion Marc Marquez. 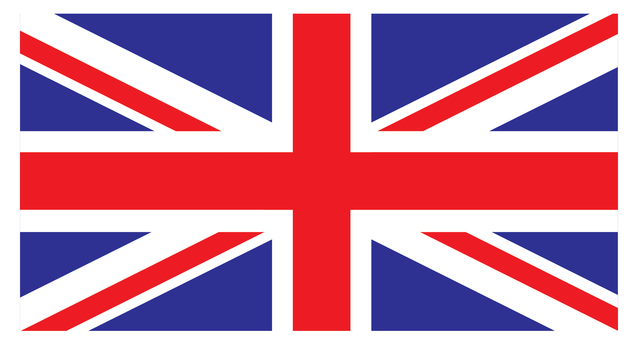 All day long, the British announcing crew was breathlessly prancing about the broadcast booth, pondering the sheer wonder of it all, going absolutely hyperbolic. Showing no sense of the moment, Vinales crashed out of fourth place on Lap 2, letting the air out of the balloon and ceding, at least for the moment, the lead in the world championship to teammate Valentino Rossi, with Marquez suddenly back in the game. FP1: Vinales was in charge, not having received the memo about Marquez’ ownership position at COTA. FP2 was led by Marquez, snatched from Zarco; Vinales right behind, trimming his cuticles. FP3 was Vinales, Pedrosa, Crutchlow and Marquez. Something had to be done about the weirdness in the standings. Early in the season, MotoGP seemed to have fallen through the rabbit hole in Alice in Wonderland. Yamaha is just taking it to Honda—the 2016 M1 is competitive with the 2017 RC213V. All four Yamahas sit in the top 11 for the season, including the two rookies. Cal Crutchlow, the highest-ranked Honda, sits tied with rookie Jonas Folger. Co-rookie Johann Zarco is on the move, a mere five points behind Folger and Crutchlow. Three Ducs rest in the top ten led by, of all people, Scott Redding in fourth. It was time to come up from the rabbit hole. Time to return to Europe. Just one more foreign outing in Texas to endure before things could return back to normal. Q2 saw a few things put right, beyond the fact that Vinales and Marquez stand head and shoulders above the rest of the field, a bunch of Aliens and wannabees slugging it out for supporting spots in the top ten. Vinales delivered the first sub-2:04 lap of the day with maybe 30 seconds left in the session. 20 seconds later, Marquez flogged his Honda to a fifth straight pole in Texas, from which he had won the previous four races. Rossi snuck onto the front row late in the session, creating a second row of Dani Pedrosa, the impudent Zarco on the satellite Yamaha, and one Jorge Lorenzo, clad in white and red. Oh, and perhaps the save of the season, by Loris Baz late in the session. Lorenzo and Jack Miller had made it through Q1, with Lorenzo putting the Ducati as high as fourth position before settling for sixth. Zarco had been up near the top of the timesheets again all weekend, putting pressure on a lot of factory rides. Miller crashed out of Q2 and appeared to be trotting back to the garage “gingerly,” his inevitable early-season injury having possibly arrived. 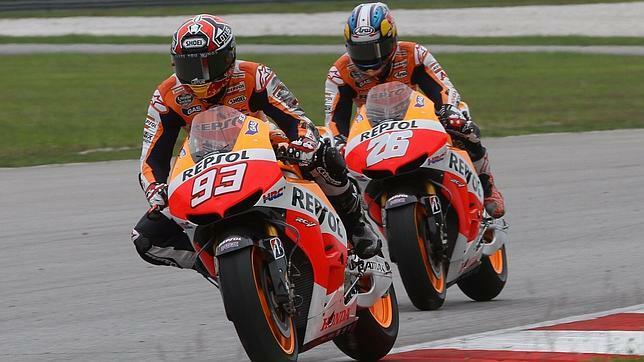 Dani Pedrosa was hanging around in fourth, back to starting up front with the big dogs. In support of my blog, Rossi and Vinales had their first set-to on Saturday during qualifying, with Vinales seemingly cheesed off about Rossi cruising on the racing line. Race Direction was later said to be considering sending a strongly-worded letter to Lin Jarvis asking him for “best efforts to prevail” upon The Franchise not to seriously injure The New Kid in Town. The 2017 American Grand Prix was more parade than firefight. The factory Hondas and Yamahas emerged from the early chaos to form up the leading group, with Dani Pedrosa front and center. Cal Crutchlow got clear of The Great Unwashed, and there was even a Jorge Lorenzo sighting around fifth place on the first lap. The usual suspects quickly found themselves strung out along the bumps and potholes littering the Circuit of the Americas, which stands in need of a paving crew. Although it took 21 laps and 45 minutes to confirm it, the race basically came down to four moves. 1) Vinales crashed late on Lap 2, leaving Pedrosa, Marquez, Rossi and Johann Zarco in the lead group. 2) Marquez took the lead from Pedrosa on Lap 9. 3) Rossi and Zarco came together a few minutes later, the Frenchman pushing Rossi wide to the right where he could cut back and increase his lead, incurring a hypothetical .3 second penalty that amounted to nothing but had the announcers, fully recovered from Vinales’ crash, happy to find something new to go mental over. 4) Rossi went through on Pedrosa on Lap 19. Q: So why can’t the problems (with the GP17) be solved? Quoted elsewhere, it seems Andrea “The Maniac” Iannone has finally accepted as fact something the rest of the planet observed late last season. This, allegedly, is News You Need: ‘Andrea Iannone says he is resigned to having to race with a top speed deficit with Suzuki throughout the 2017 MotoGP season.’ Please refer to the above quote from Dovi with regard to this revelation. Rubbing salt in the wound, I’m pretty sure that Danilo Petrucci and Andrea Iannone stole Jorge Lorenzo’s lunch money over the last few laps of the race. We could be charitable and suppose JLo’s tires gave up on him. Or we could be hateful and small and speculate that he got out-cojoñed by the two Italians. With Vinales’ feet replanted in terra firma after an otherworldly start to his Yamaha career, we can now have a straightforward, adult conversation about the state of the MotoGP championship after three rounds. The factory Yamahas and Hondas appear significantly ahead of everyone else early in the season. Rossi and Vinales are frightening, Vinales for his sheer speed, Rossi for his strategic brilliance. Marquez has atoned for his crash in Argentina and will push The Boys in Blue for the entire season. The factory Ducati program is in deep yogurt, Dovizioso hanging onto fourth place by his fingernails while grasping bad luck with both hands. LCR Honda stud Cal Crutchlow continues to nose around the top of the standings, his crash at Losail all that stands between him and a top three ranking. So, order has been restored at the top of the MotoGP food chain just in time to return to racing in Europe. Aliens occupy the top three spots in the standings. Near-Aliens (semi-Aliens?) sit fourth and fifth, while the Alien Emeritus stands sixth. The apparently brilliant Johann Zarco has seventh place all to himself, while teammate Jonas Folger is tied for eighth place with Pramac Ducati pilot Scot Redding and Jack Miller. My boy Alex Rins, previously nursing a bad ankle, suffered a compound fracture of his wrist during practice this weekend and is out until further notice. And Jorge Lorenzo, who sold his Alien Card for filthy lucre, sits counting his money in 13th place, with 12 points to show for his first three acts with Ducati. Two weeks from now MotoGP blasts into the Spanish Riviera. The racing will be at Jerez, while the action in the evening will be on The Strip in Cadiz. Maverick Vinales, despite the good vibes associated with a return to home soil, probably will not be in the gift-giving mood in which he found himself today. Excuse me while I butcher the old Smith Barney one-liner. 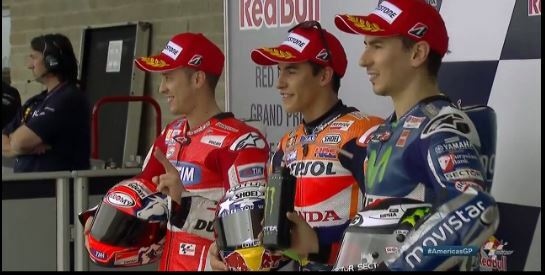 If they want spots on the podium next time out, Rossi and Marquez will probably have to do it the old-fashioned way. They’ll have to earn it.